WOODPRO Canada is one of the most reputable wood restoration companies in Eastern Ontario that specialize in restoring cottages, log homes, decks, house sidings and fences, among others. 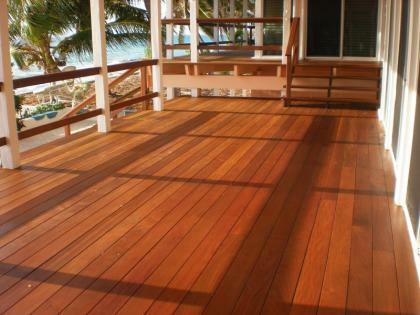 They also carry out deck finishing, even manufacturing and reselling their own sustainable sealers, stains and stripper removal products. In addition, they perform annual maintenance procedures to a total of 400 decks each spring. This offer is one of the major selling features that attract both old and new customers. 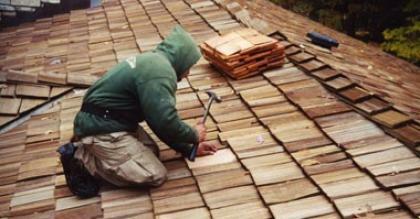 All their product lines and services are of top-notch quality. Since it has been in the industry for around 25 years, it is evident that it has become one of the established and most profitable family businesses in the market. Other companies even refer their own customers to WOODPRO because they never fail to live up to their goal – to provide first-rate products and services to all clients. This is also the primary reason why they got an A+ BBB company rating. You would definitely place your trust to this company in bringing forth a very lucrative income. Apart from the products and services that the firm has to offer, it also boasts a team of professional employees who work behind the scene in meeting all the demands of the business. They attend to all customer enquiries, perform all the restoration jobs and maintenance works required, manufacture their exclusive product line, provide after sales support, manage and audit finances, advertise promotions and discounts, evaluate employee performances and supervise overall operations. The management team is proud to say that they have proven to be worthy of the owner’s trust after all those years. The primary reason for the selling the business is that the owner has finally decided to retire. The asking price comes with a complete package – all manufactured stain, sealing and stripping products, all client lists and connections, a fleet of 6 equipped trucks and business contracts. With the spring maintenance plans carried out annually to a total of 400 decks, a projected revenue of $60,000 - $90,000 will be added on top of the regular company sales. Since WOODPRO is fully branded, it can be readily franchised out or acquired by any licensed contractor all throughout Canada. The company building, plant and yard is currently located in Richmond Ontario and maintained by the owner. If you wish to keep them then they can be bought separately. However, you also have the option to relocate the business or run it from home, especially if you have a small yard where you can store all the equipment. There is a great number of well-experienced and trusted employees to support the new management. The company’s high-ranking staff, together with the sales and production workforce, are happy to work for the new owner. There will also be some seasoned employees who are returning for the spring startup. This is the largest and most recognized wood restoration business serving all eastern Ontario and even the west Quebec markets. They exclusively manufacture their own brand of staining, striping and sealing products, which have become popular all through these years. Thus, competition is less when it comes to marketing their products. As for the services, there are few companies with reliable truck operators in the same line of business. There will be an exhaustive hands on training and support provided in all aspects of this wood restoration business for the first season. This is to ensure a smooth transition from the retiring owner to the new business proprietor. Owner financing is also offered, where 50% of the cost with a simple annual interest rate of 12% will be provided to the right buyer on a “vendor take back” basis.